Place it in a cooler at the time & place shown below. When Tuesday 11 a.m. to Wednesday by 9 a.m.
Callan Ave. & Hull Ter. When Sunday 10 a.m. to Sunday by 7 p.m.
Any surplus fruits, vegetables, herbs and greens, right out of the garden. Bunch greens or bag small items (beans, cherry tomatoes) if possible; leave larger items loose. Clean off as much mud and dirt as possible and choose produce that has no signs of mold, spoilage, bruising or insects. 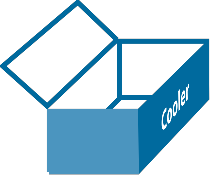 Place in cooler during posted collection hours.